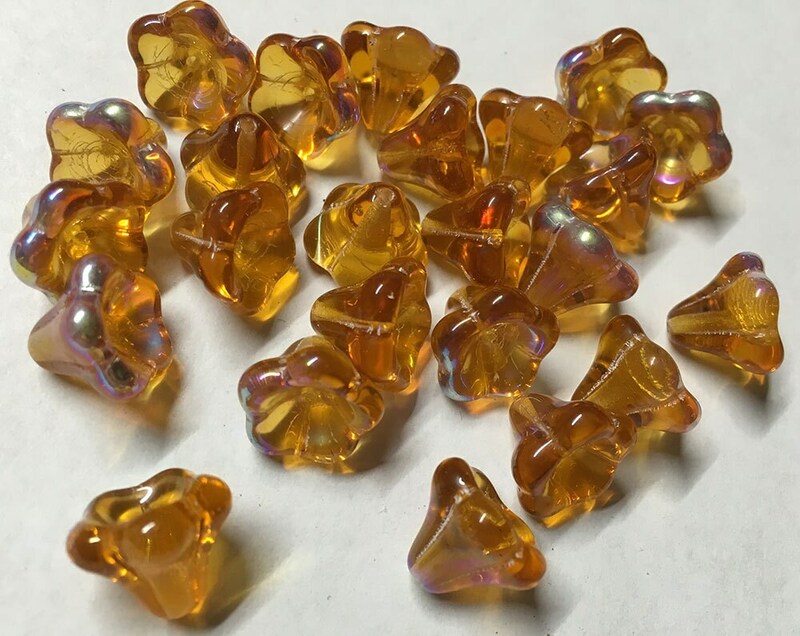 Gorgeous amber AB large 5 petal trumpet or bell flower beads. These Czech pressed glass flowers measure 11mm x 13mm and would make great additions to your jewelry creations! Approx 24 beads per strand. Many uses for these lovely flowers! I didn't realize these were so large - I didn't realize glass flowers came in different sizes (yes, it's right on the listing, but I was only looking at the color!). But they're gorgeous, and I've already used some of them, so I'm happy with them!